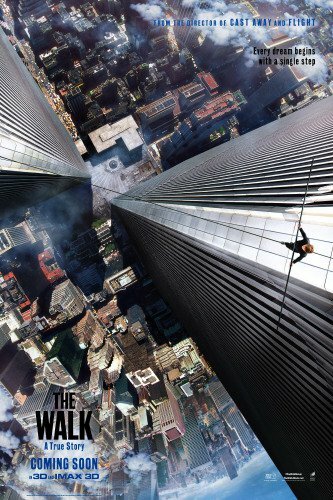 In 1974, high-wire artist Philippe Petit (Joseph Gordon Levitt) recruits a team of people to help him realize his dream: to walk the immense void between the World Trade Centre towers. I was on a tightrope on deciding whether to see this or not. When I heard that Robert Zemeckis was adapting the incredible true story of Petit, my first thought was “Why? We already have an Oscar winning documentary about it”. The bold BUT incredibly OTT opening with Levitt’s Petit standing on top of the Statue of Liberty waffling on about the beauty of the wire didn’t build my hopes up. However, Levitt’s charm and charisma was hard to resist and he delivered a fantastic performance as the tightrope artist. It was only by scrolling through some YouTube videos recently that I realised how good his performance. His accent was spot on. The Walk started with a very easy going opening as we flick through Petit’s life as a street performer and delved into his passion for tightrope walking. It was beautifully shot. Dariusz Wolski’s cinematography impressing me yet again. The mish-mash of monochrome with colour was very nice on the eye. There was a Chaplinesque quality to the story telling as Petit struggles to make ends meet and falls for the lovely Charlotte Le Bon (The Hundred Foot Journey). The only problem was that the pace did drag and after the hour marker, the gang still hadn’t got to New York. I was happy to watch Petit hone his craft under the watchful eye of Ben Kingsley’s bitter circus vendor Papa Rudy. BUT after half an hour, it felt a little repetitive. Rudy’s character was also a little weak. Kingsley did his best BUT he was soon thrown into the background. I understand that the film is very much about Petit. BUT we had all these characters and only some of them managed to make a real impression. Le Bon and Levitt may have had good chemistry but their story line didn’t really go anywhere. She was left wondering around for most of the film with a pair of binoculars. And when their subplot did pick up, it was resolved quite unexpectedly and abruptly. Shame. I loved the fact that in most of these movies; the cast just speak English when they are supposed to be from another country. 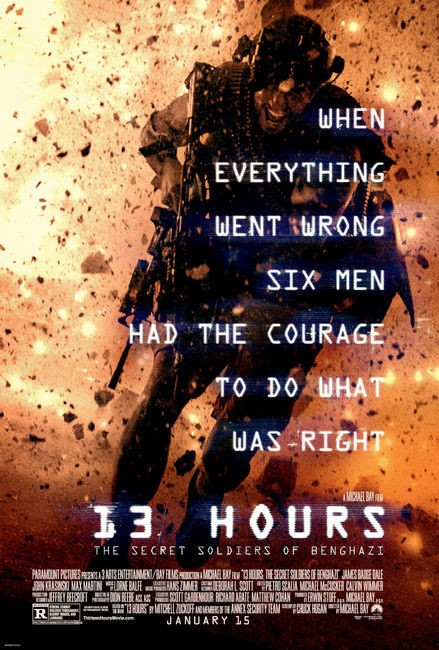 However, this time around, Zemeckis tackles that quite well. Petit demands everyone speak English as he is practising before his trip to the Big Apple. The fact that everybody had a spout of speaking French, Ukrainian and all sorts was a nice change. James Badge Dale managed to make a scene stealing supporting turn as JP. Their first meeting in a tech shop was hilarious. Cesar Domboy was the only other crew member that I could remember and that was only because he was the mathematician and strategist who suffered from bad vertigo. You could call it a mile off on what he was going to happen with the poor chap. The last 45 minutes was superb. It was tense, suspenseful and that was just watching the crew trying to sneak their way into the Towers. The reconnaissance, the hiding, the fear of getting caught was brilliantly captured. It felt like something out of The Sting. You always worry with a film of this magnitude that the build-up won’t pay off. That the very event that film is based around will not deliver. Well, have no fear. La piece de resistance was superb. The sweeping panoramic shots gave me vertigo as Petit stood at the end of a beam looking down 110 stories. I could feel butterflies in my stomach. I was worried that the CGI might ruin the experience. There were moments where everything looked a little overdone. Too much animation. I wish I had invested in 3D or IMAX for this. It would definitely have enhanced everything. From the moment, he takes his first step, I was transfixed. My heart was in my mouth. Even though I knew the outcome. I couldn’t believe it. Although, the CGI may have niggled at me, it was still stunning and a little sad to see the Twin Towers in all their glory. There was a subtle but lovely end note to the piece. You cannot hide one remarkable event without remembering such a tragic one BUT it was a nice tribute. The Walk could easily have been cut by a good half hour BUT that didn’t stop an enthralling sequence and a stellar performance from a very talented actor.